After coming back from our travels I spent a month in Korea staying at a new friends apartment while Jason was in America. It was such a great time to reconnect with my little pup and we just spent our days relaxing, walking and playing. After about a month Jason came to collect me and we moved in to our new apartment. 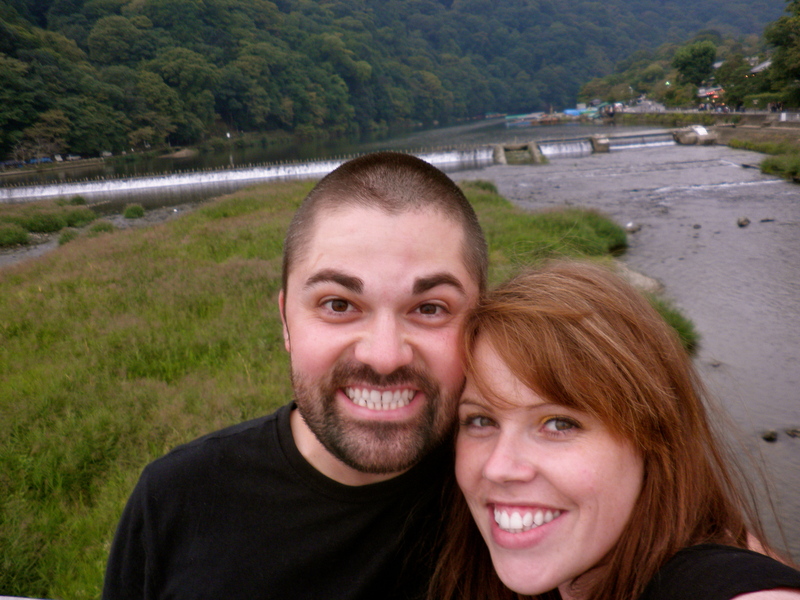 We were pretty excited about this move as most teachers in Korea live in tiny studio apartments but we were moving in to a big 2 bedroom apartment. This was also going to be our first time living together. The move was very easy as because of our nomadic lifestyle we didn’t have much stuff. The only bad thing was that it was the height of summer (August) and it was one of the hottest summers on record (40 degrees during the day!) and we had no air con! was the first stamp in my new one! We had prebooked in to a hostel and found some flights with Air Busan. 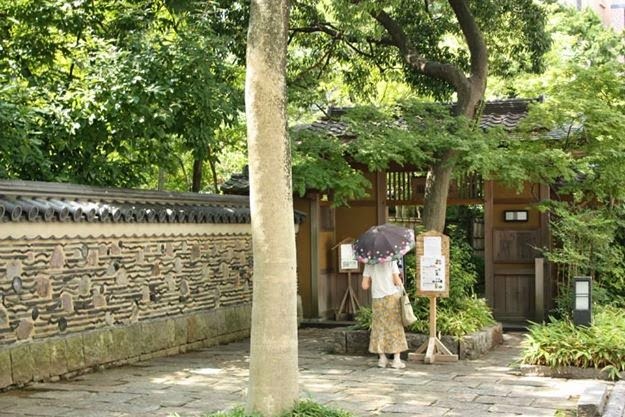 The great thing about Fukuoka is that it’s not even an hour flight from Busan. Once we arrived we had to go straight to the Korean embassy as they don’t take visa applications after 11 a.m I think it was about 10 a.m once we arrived. Luckily we had some good directions and were all finished up by lunchtime. 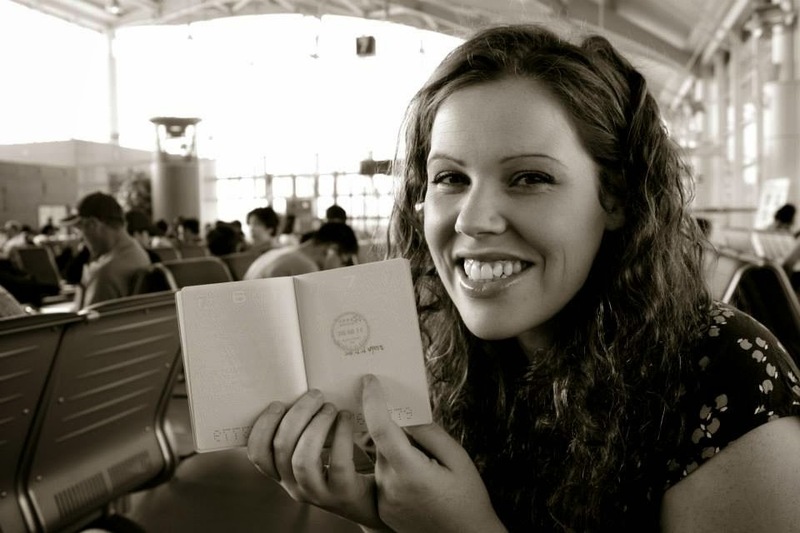 We had to stay in Fukuoka until after 12 the next day to collect our passports. This left the rest of the day for us to explore the city. 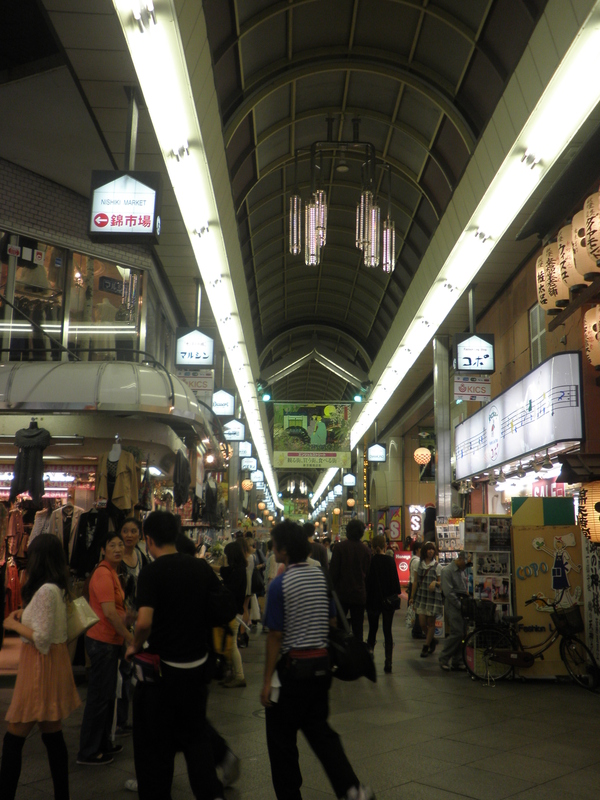 Something that we both noticed is that Fukuoka is a really clean city and has some really great shopping too. But first things first, and that was finding a good lunch! We decided to just get lost in the city and see where we ended up and we ended up walking down a small street with some beautiful tiny restaurants. 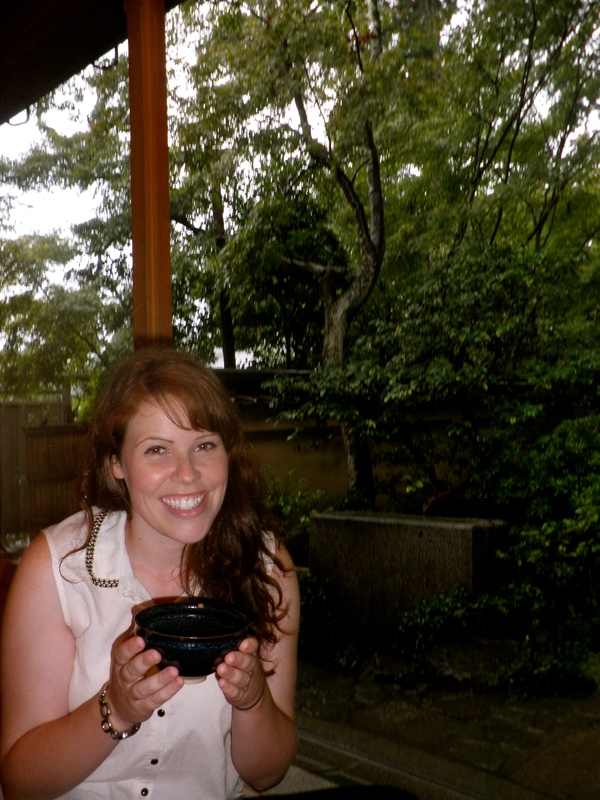 We had both fallen in love with Japanese ramyeon on our last trip so we really wanted to have it again. We found a tiny little place and thought that it looked really cool so decided to give it a try. I love those tiny little hole in the wall places. There were about 3 other people inside and probably enough room for about 10. 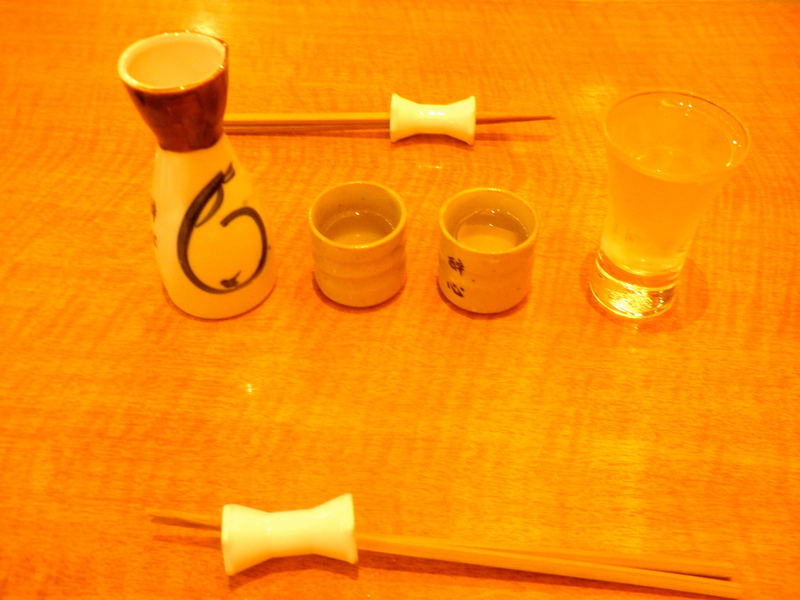 There were bottles of Saki everywhere and it was quite dark inside. 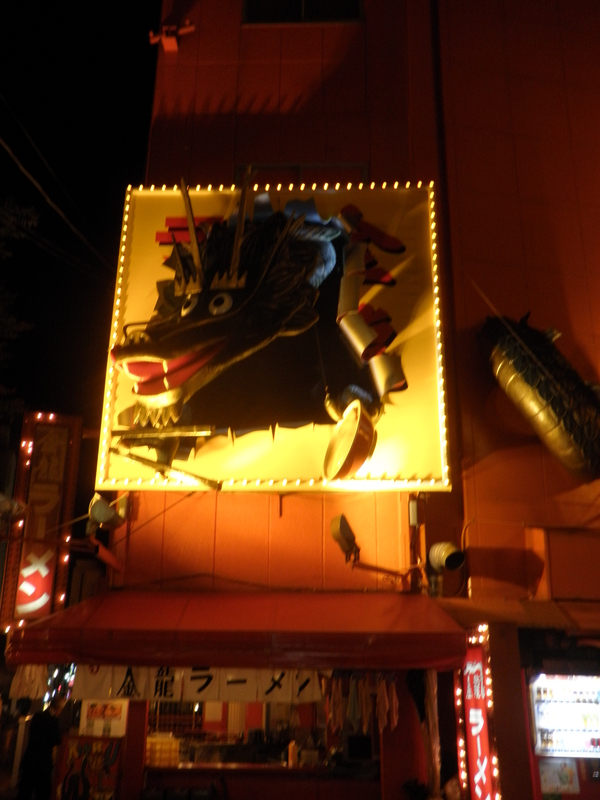 We had planned on just asking for ramyeon and seeing what would happen…but unfortunately we were in Japan. We realised that the only way to order your food was from a machine. 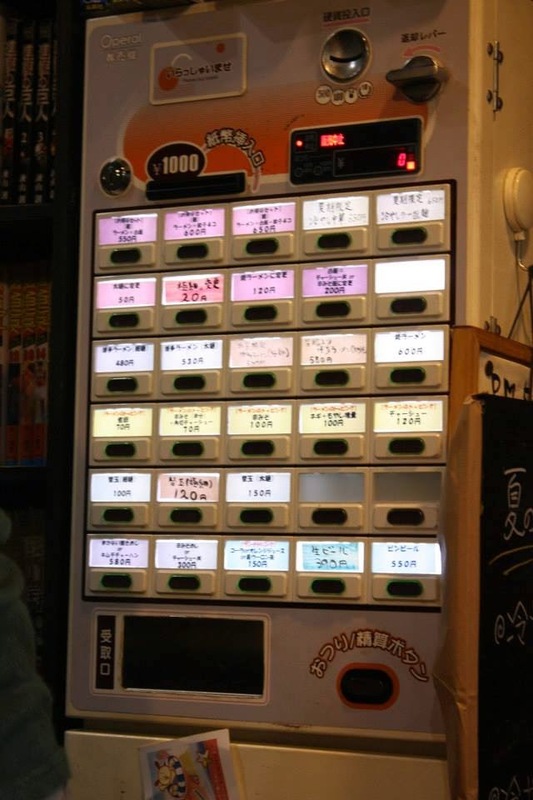 Since absolutely everything was in Japanese we had to just order blindly…we’ve done this quite a few times in China, Korea, Cambodia and beyond and it has never let us down. This time was no different! We got some really great pork noodles and some great spices and sauces to add if we choose. 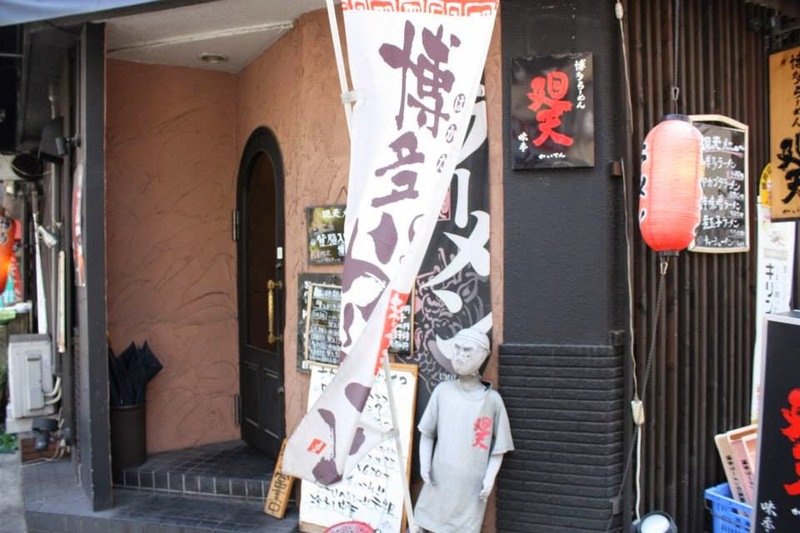 It was a great little place and the noodles were delicious! 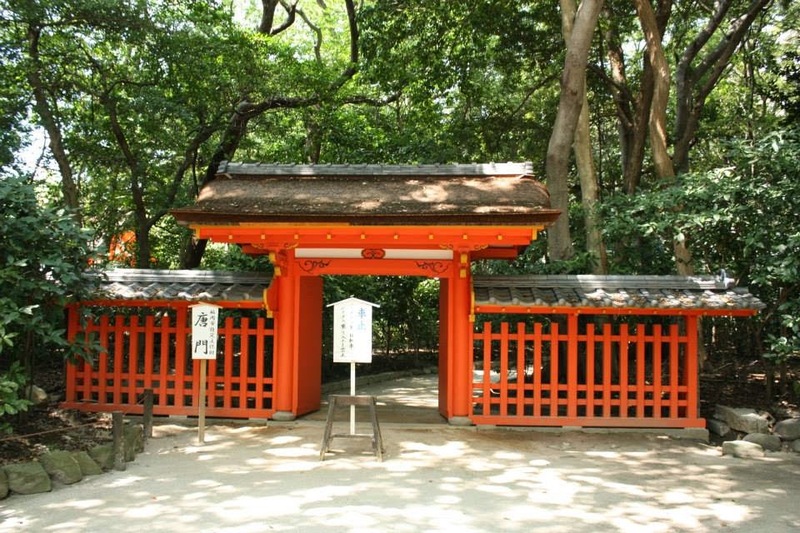 After lunch we decided to take a little walk around the area and try to find Kashii-gu, which is a Shinto shrine. 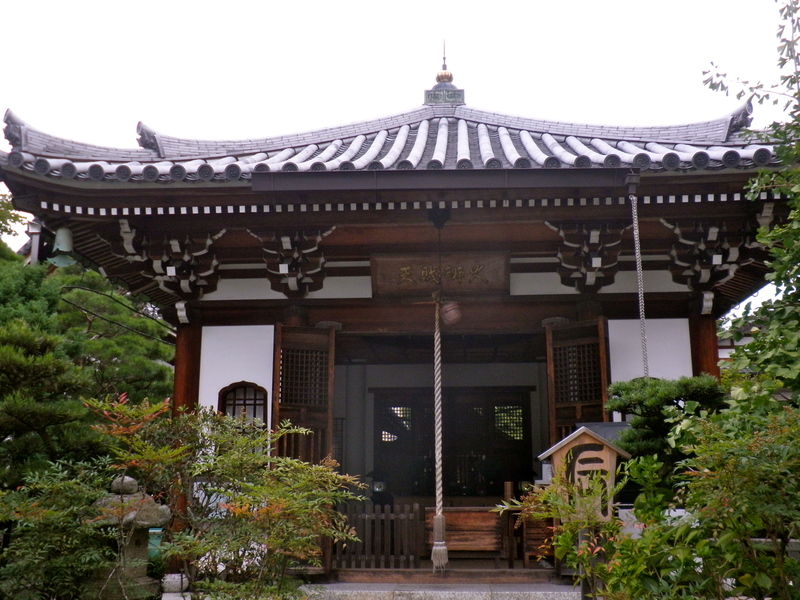 it was very peaceful inside and we enjoyed walking around and seeing the different shrines and temples in the area. 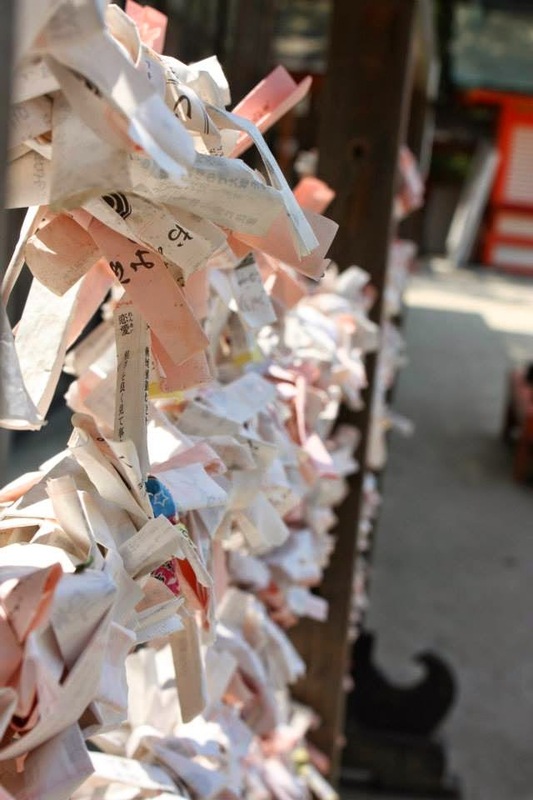 It’s also fun to visit the temples in different countries and see the differences among them. 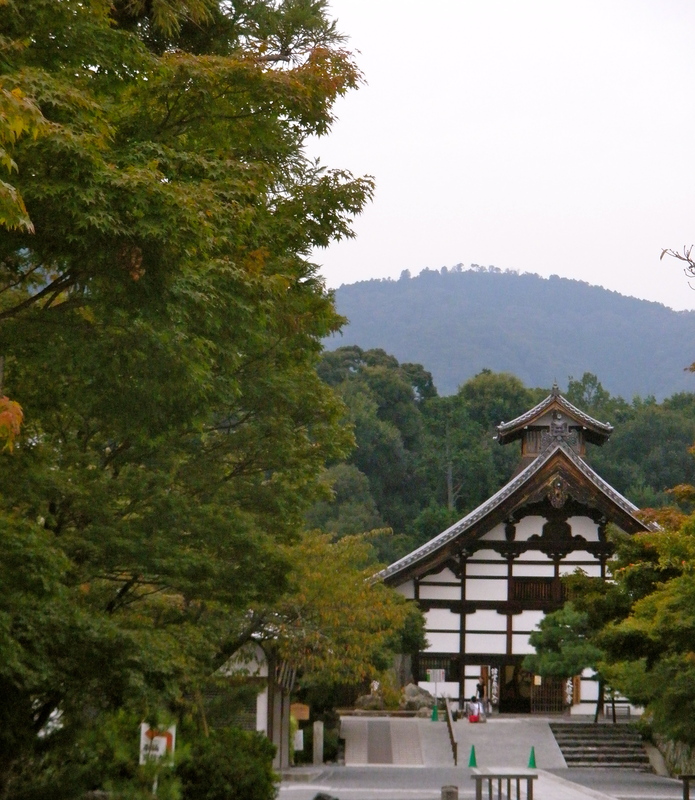 After leaving the shrine we were just walking along when we randomly found a beautiful traditional entry way. 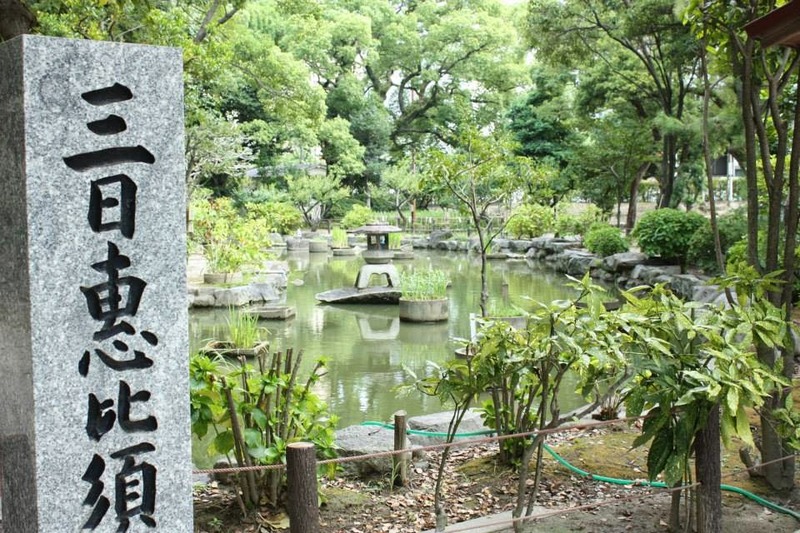 After snooping a bit more we found that it was a Japanese garden. We were both pretty excited to go in and found a beautiful peaceful little garden in the middle of the city! We sat there for about an hour just enjoying the peacefulness. 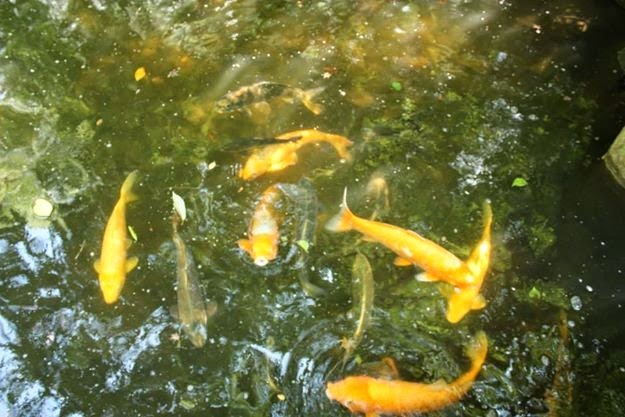 Some koi swimming in the pond. We then decided to go to the big shopping centre in the middle of the city. 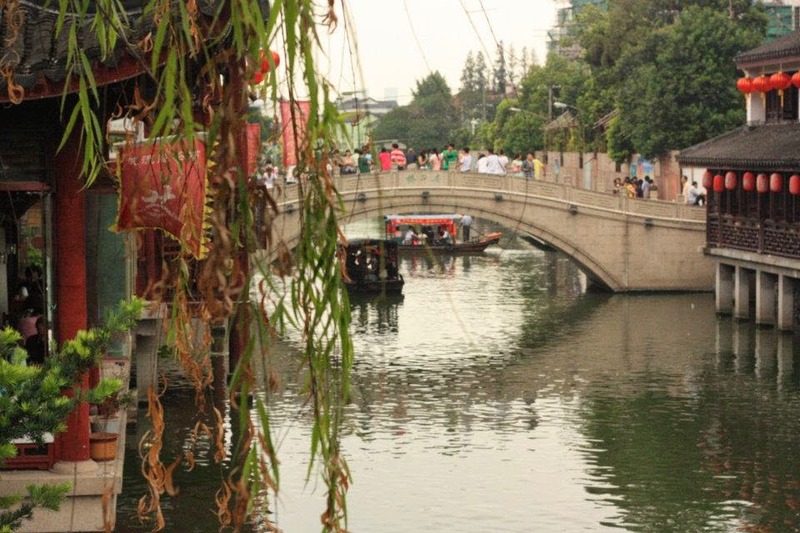 It’s pretty huge and is called Canal City because, well…there’s a canal that goes all around it. We took a stroll inside (loving the air-con) and then got some coffee and relaxed for a bit. 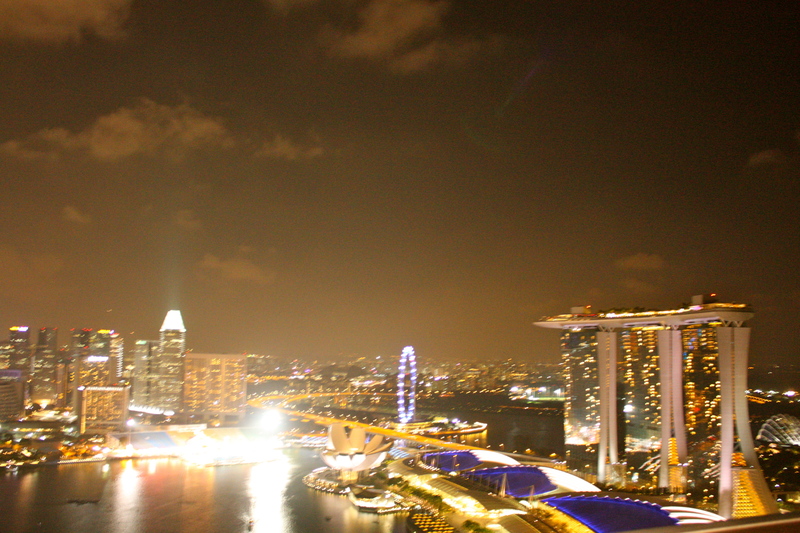 It was so Americanised that we almost forgot that we were in Asia for a while. 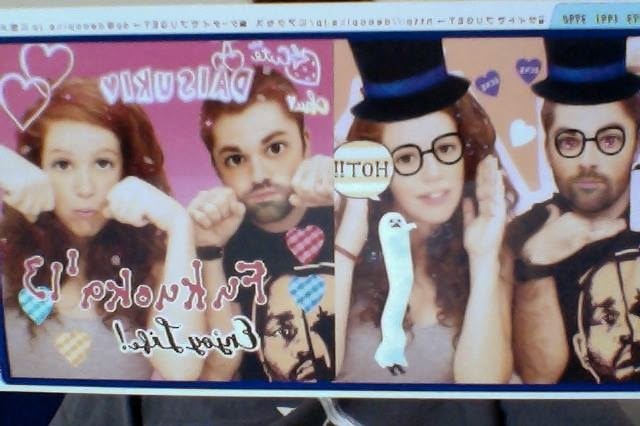 After walking around a bit more we saw a Japanese photo booth shop. I had done this before in Korea with a couple of friends and it was crazy so myself and Jason decided to give it a go. 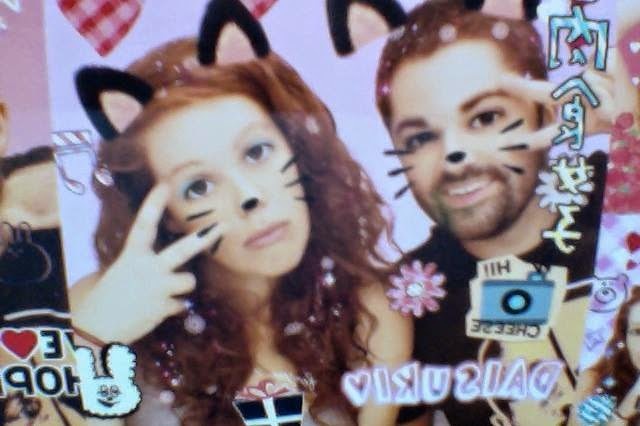 What is a japanese photo booth you ask? and how is it different from regular photo booths? Well firstly, these shops are in nearly every shopping centre in Japan and are hugely popular amount Japanese (and Korean) teens. Each shop has about 20 or more different booths all with their own unique photo style. Some shops have a corner where you can rent fancy dress for your photos. When inside the booth you get some photos taken and choose your favorites. You then get some time to design your photos with stamps, hearts, faces, writing, make-up and hundreds of other things! 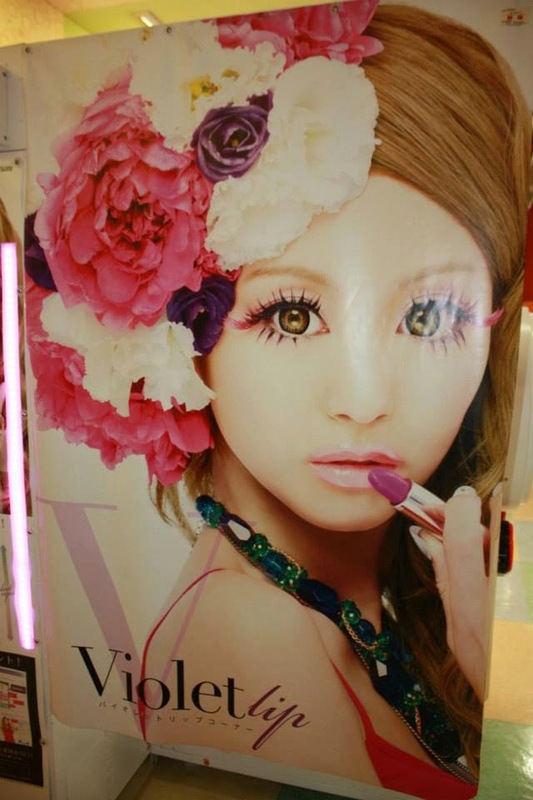 The end result is a really creepy photo of you with super white skin, lighter hair and huge eyes. You are also photoshopped like never before. They are so fun to see and when you get the hang of them it’s fun to do some crazy poses. We had so much fun in the booth that we decided to do it another time. It’s so weird to see how much they change you! One of the creepy photos on the side of the booth. 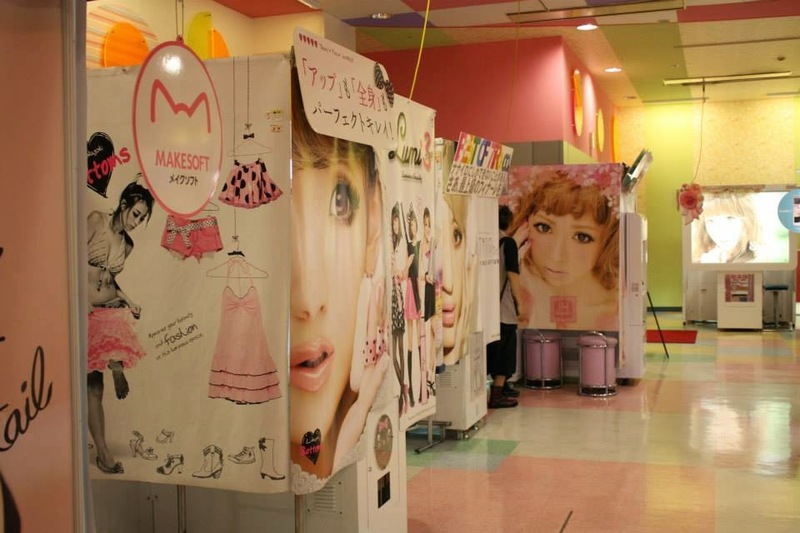 Inside the photo booth shops. After our time in the photo booth we decided to go to the cinema. We love going to the cinema in a new country just to see the differences and relax a little. 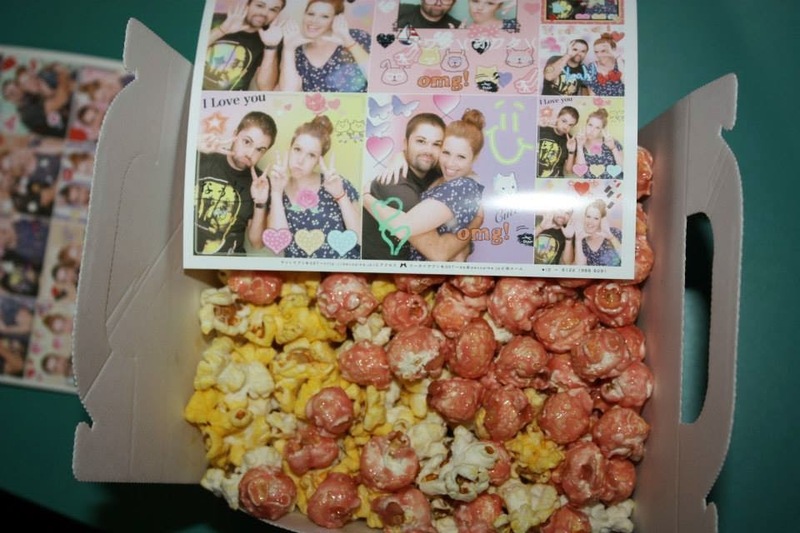 We ordered some strawberry popcorn and enjoyed the film. That evening we got completely lost trying to find our hostel, ended up walking around for an hour when we finally found it. It was a really nice, clean hostel and even though we ordered a dorm room we ended up with a room to ourselves which was nice. The next morning we had to make our way back to the Korean embassy and collect our passports. We had a bit of time before our flight was leaving and we didn’t have much money left so we decided to go to the shopping centre across from the embassy and have lunch there. We found a small noodle place and had our final meal. Then while walking around we found another photo booth place. I have to say, we were a little obsessed. We had enough money to take a couple of photos but it would mean having no money whatsoever after getting the subway to the airport. We decided to get some more photos (although I was regretting that decision when I was really thirsty at the airport and couldn’t afford some water) But it was a lot of fun! After that it was time to say goodbye to Fukuoka and head to the airport to catch our flight back home to Gimhae. 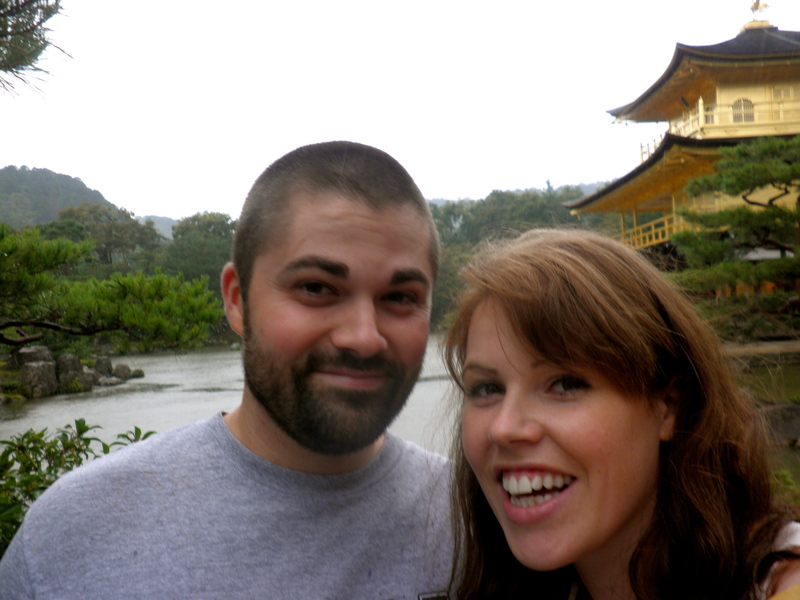 Fukuoka was a lot of fun and both myself and Jason agreed that we would have loved to live there. It’s a big enough city but not too big. 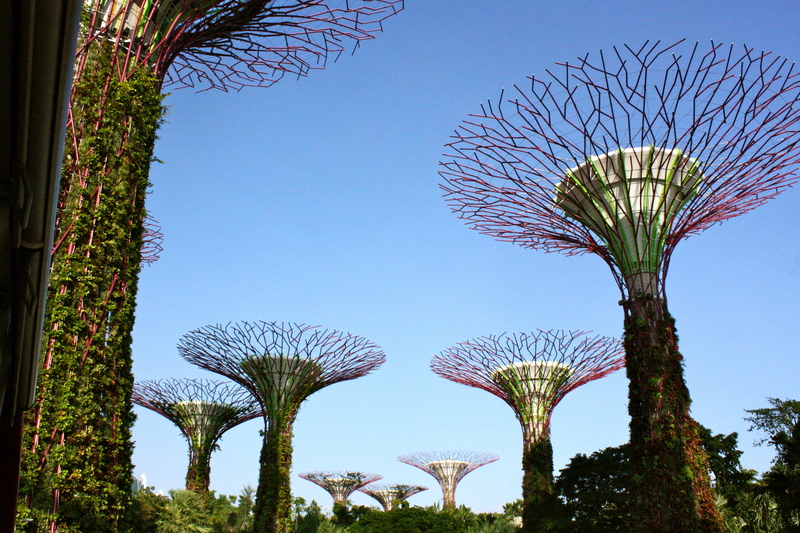 It seemed quite environmentally friendly and there seems to be so much to do there! 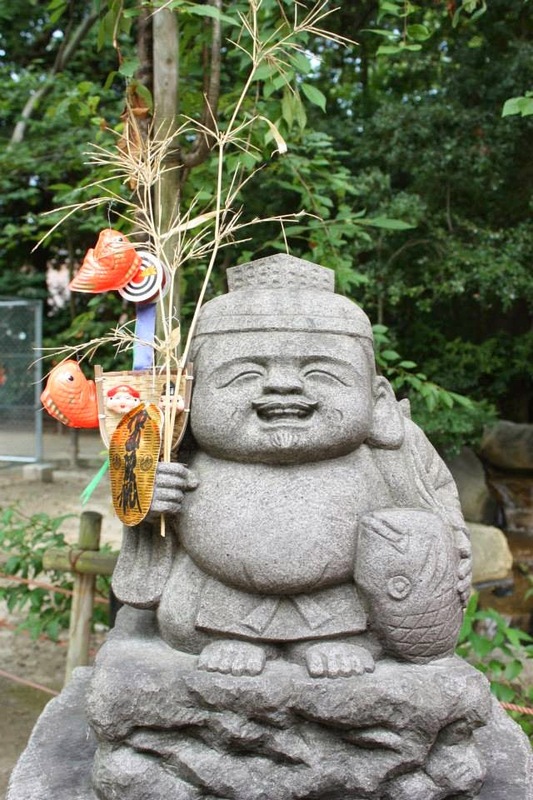 Unfortunately we didn’t get to spend enough time there to get to see and do most things, but as well as the shrine and gardens, Fukuoka is on the sea which means there are beaches there and there’s also a carnival near the beach. 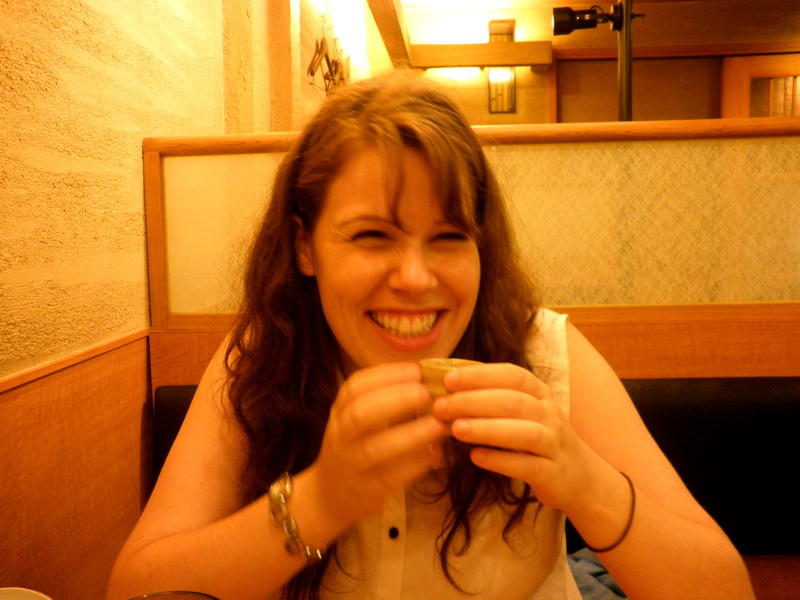 I would definitely like to go back and see more of Fukuoka again! 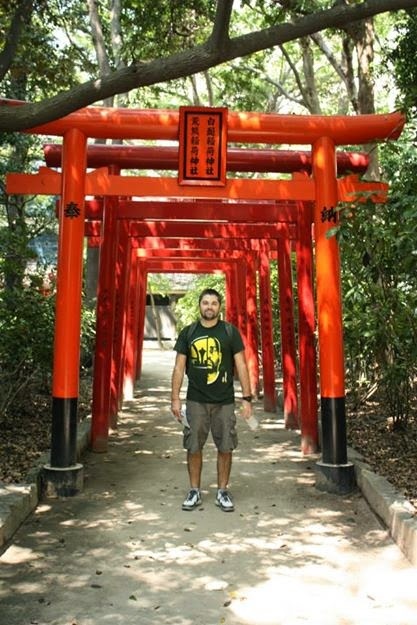 I think I’m turning Japanese! I’m sorry this has taken so long, I started writing it just after we got back from Japan but life got in the way and I couldn’t finish. 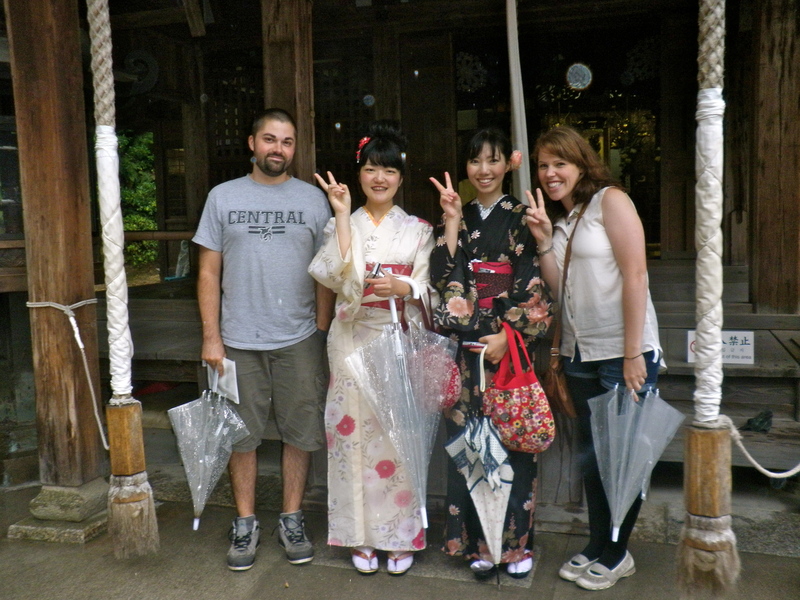 So here it is…We are back from our amazing 4 day trip to Japan. I don’t think I can do Japan justice for it’s awesomeness in this blog…but I’ll try my best!I didn’t get too excited before going to Japan, we had a very busy month before and didn’t have much time to get excited and I also just presumed that Japan would be very similar to Korea…how wrong I was. I noticed the differences between Korea and Japan almost immediately after stepping off of the plane. Firstly there weren’t many high-rise apartments. In Korea, we are so used to seeing high-rise everywhere, in fact our apartment building has 15 floors and that is the normal height here. There are few houses and the few that have survived are usually deep in the countryside. 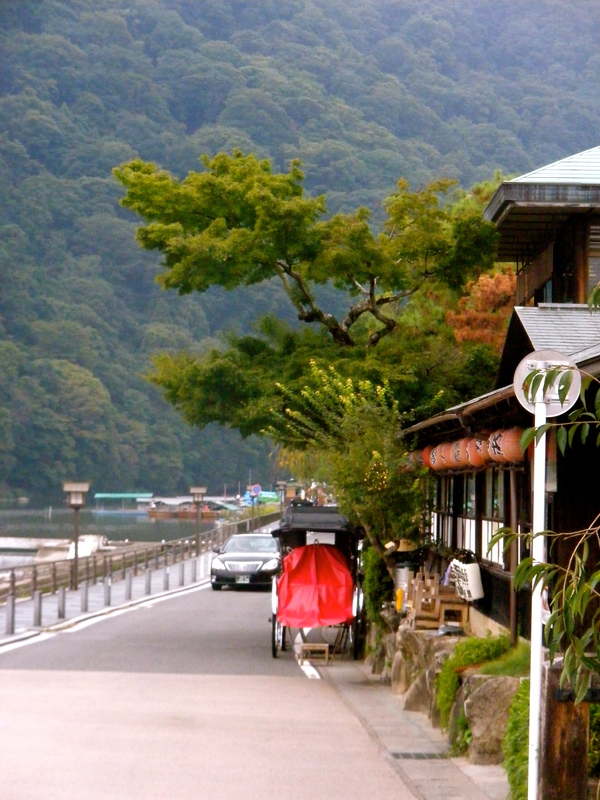 Japan on the otherhand is full of houses, both traditional styles and modern styles. Another difference, a breath of fresh air actually, is that the Japanese are very orderly! Even at the subway stations there are queues for each door and nobody skips. My friends here in Korea will know that it’s somewhat different here…in fact not getting injured while trying to get on the subway is considered a success! The major downfall of Japan was the cost. I knew it would be expensive, everybody told me so, but it still shocked me just how expensive food was compared to Korea. 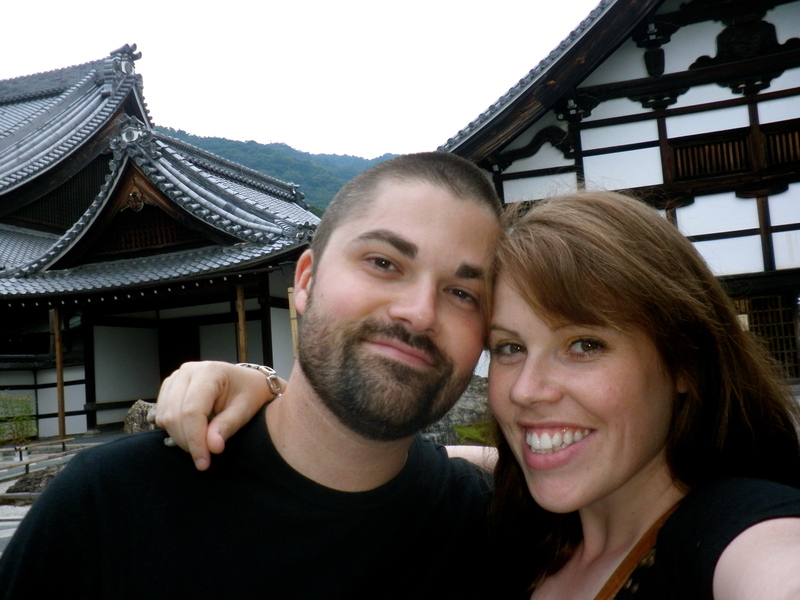 On our first day we travelled to Kyoto. 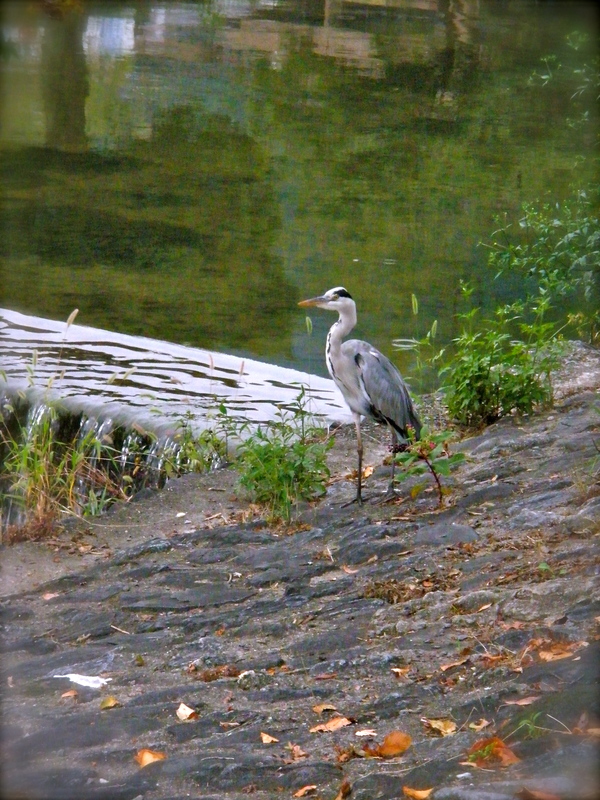 Kyoto used to be the capital of Japan a long long time ago, because of this there are temples and old architecture located all over the city. 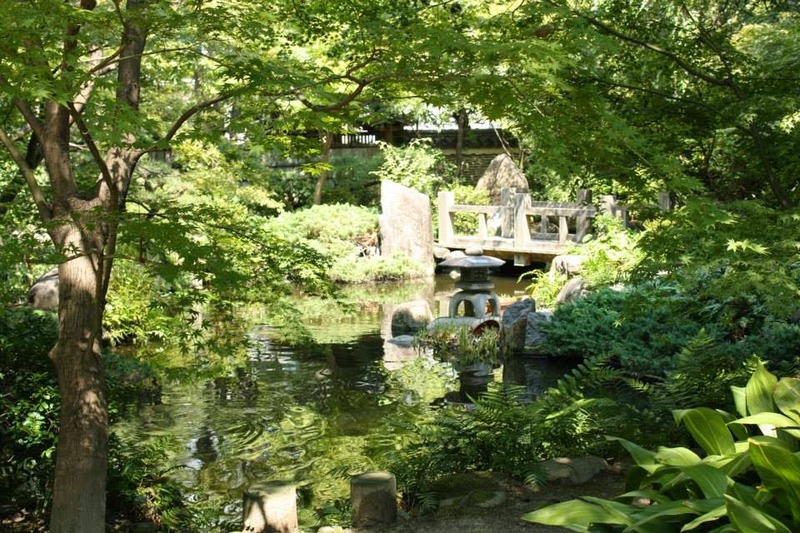 It is the main city to visit to discover “old” Japan. 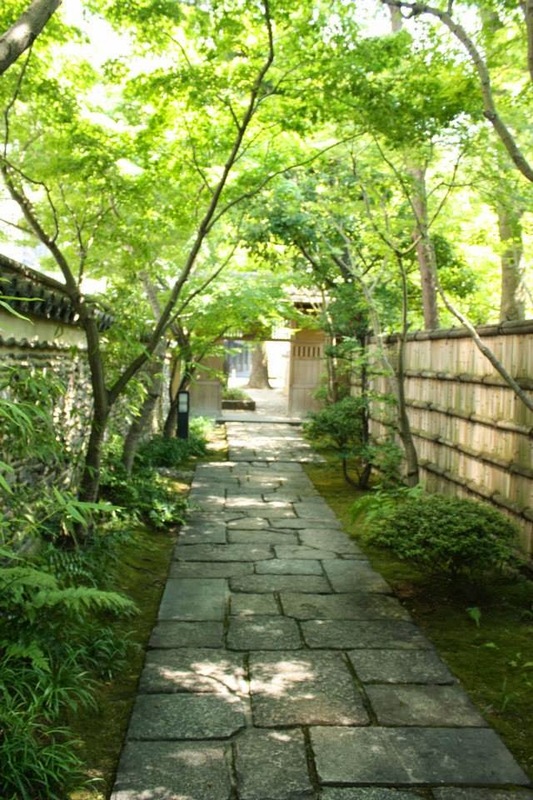 We stayed in the Khaosan Kyoto Guest House. We were lucky with where we stayed because it was right in the centre of everything. 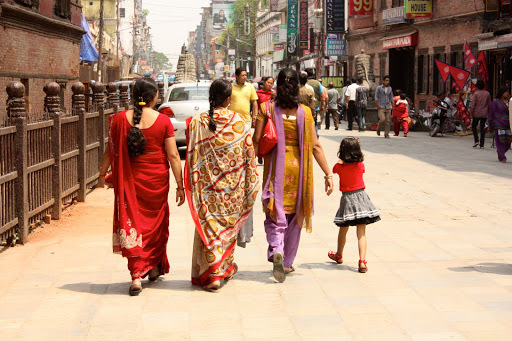 We had bus stops/ subway stops/ shopping and temples all nearby. 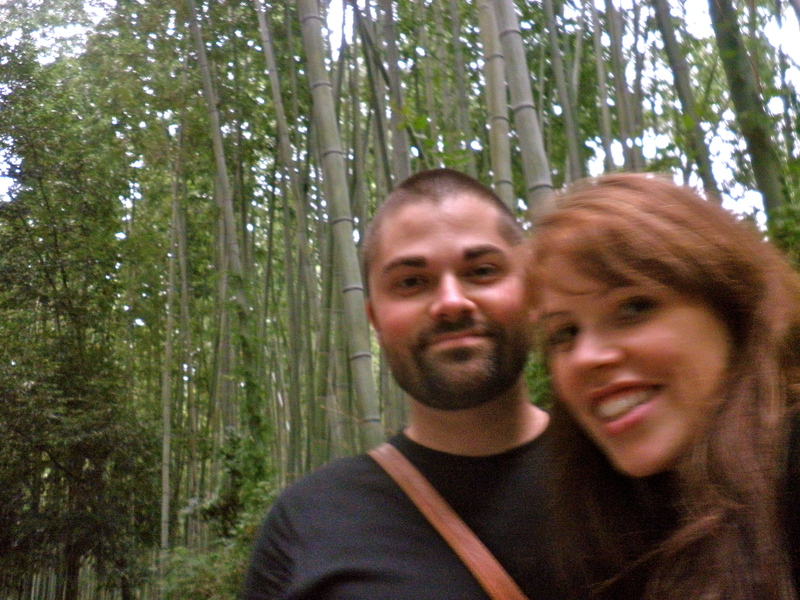 On our first day we decided to go and visit a bamboo forest. 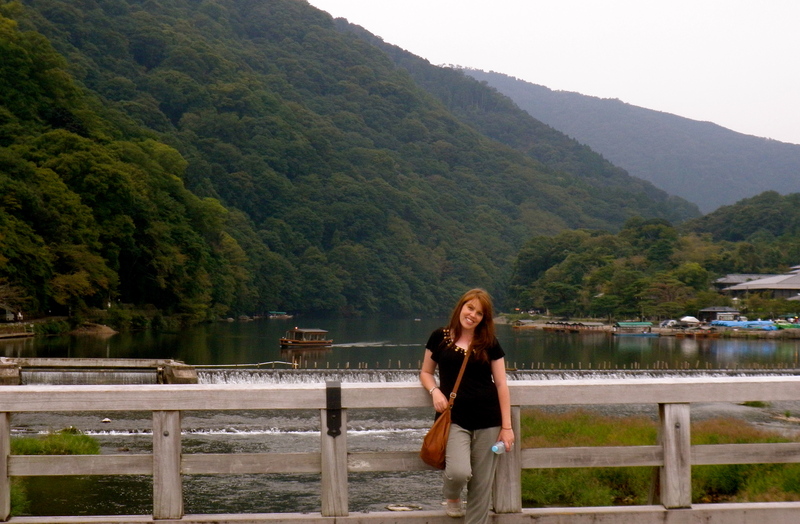 We had heard that Arashiyama was a nice place to go to so we set off. When we got off of the train we couldn’t believe where we were! 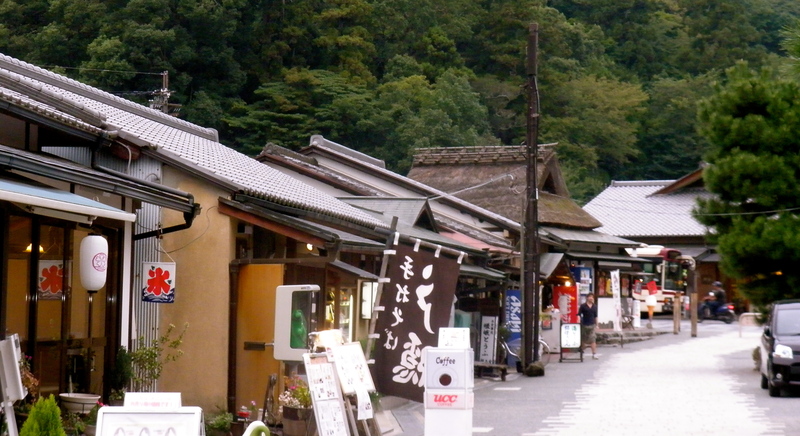 We were in the countryside with a gorgeous river nearby and lots of beautiful shops and temples everywhere. It was the nicest surprise. 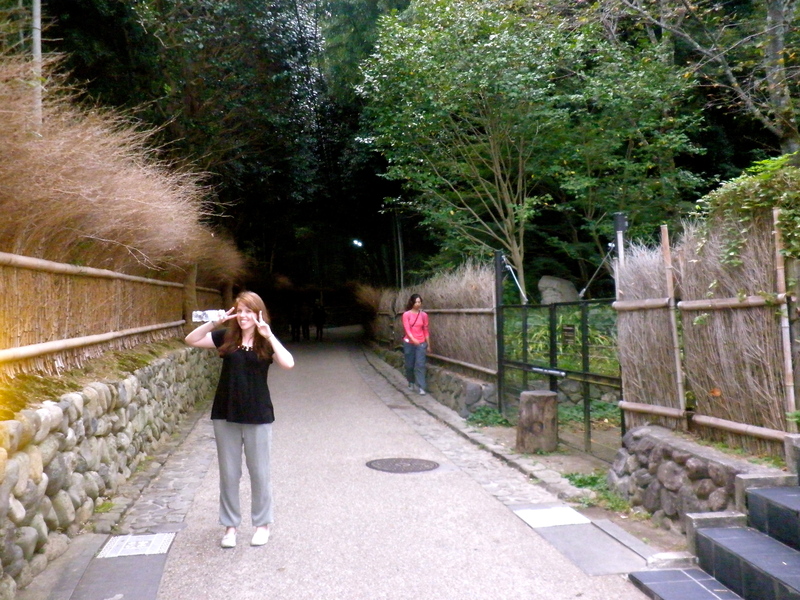 We found the bamboo forest and it was really cool, unfortunately our canon lens broke before coming to Japan so we just had my point and shoot which is fine, but terrible for photos in the evening/night. So our photos really don’t do this place justice. That night we went to a huge shopping area looking for a place to get a drink. We saw a place and decided to wander in, and I’m so glad we did! It was a basement bar with a waterfall and very traditional setting. We ordered some duck and it was by far the most amazing duck I’ve ever had in my life! The next day a massive typhoon decided to hit Tokyo, even though we were quite far away from it it was still lashing raining in Kyoto. 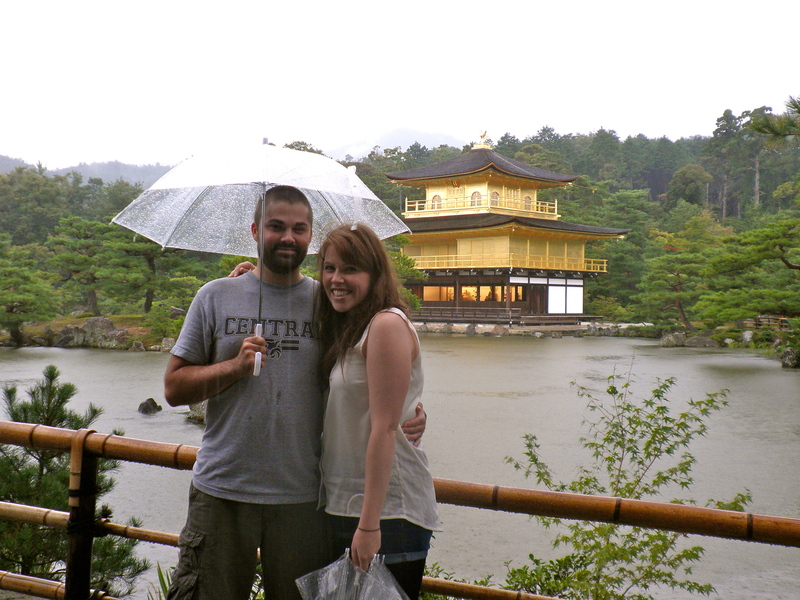 Since this was our last day and we really wanted to see the golden temple we set off in the rain. I’m so glad that we went because it really is a sight worth seeing. 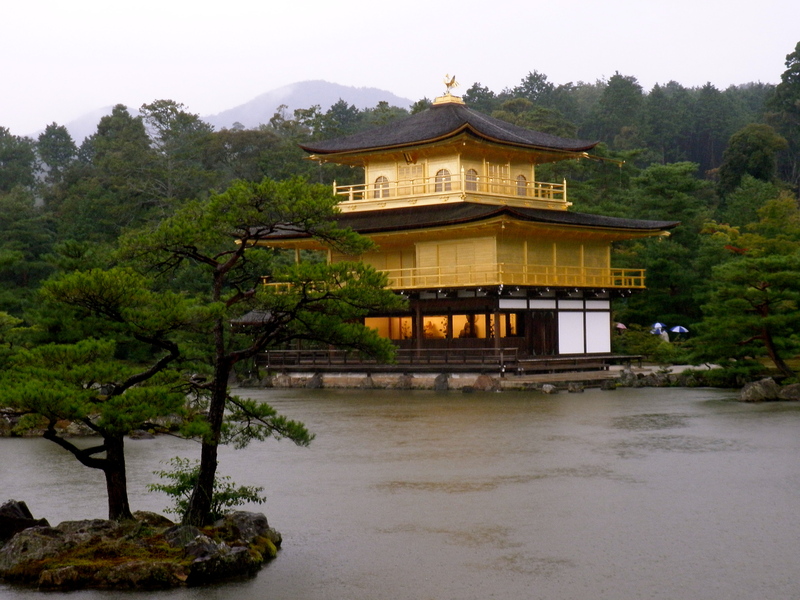 The whole temple is gold plated and no matter what the weather is like it looks amazing. 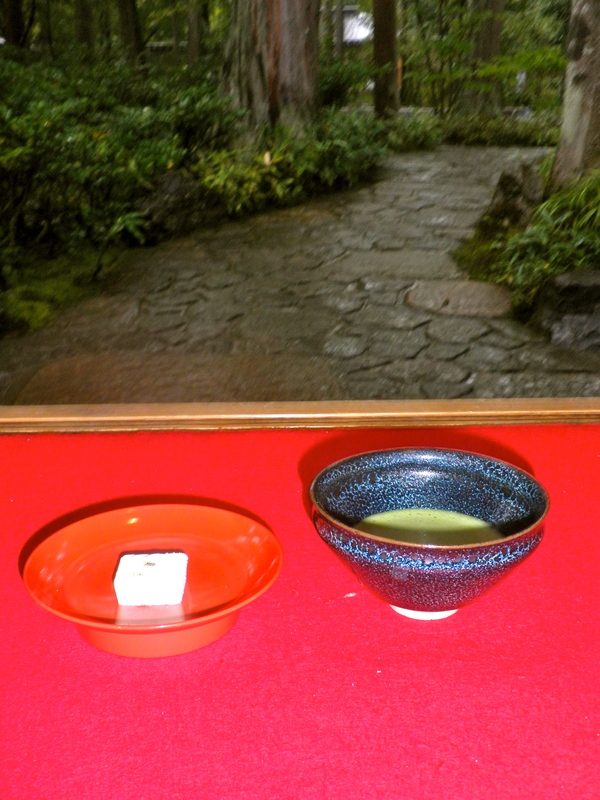 We found a little place to drink some green tea and take in the beautiful location…all the while talking about how lucky we are that we get to do this. When we got back we went to a small ramyeon place down an alleyway. As with the duck, it was unbelievably good! 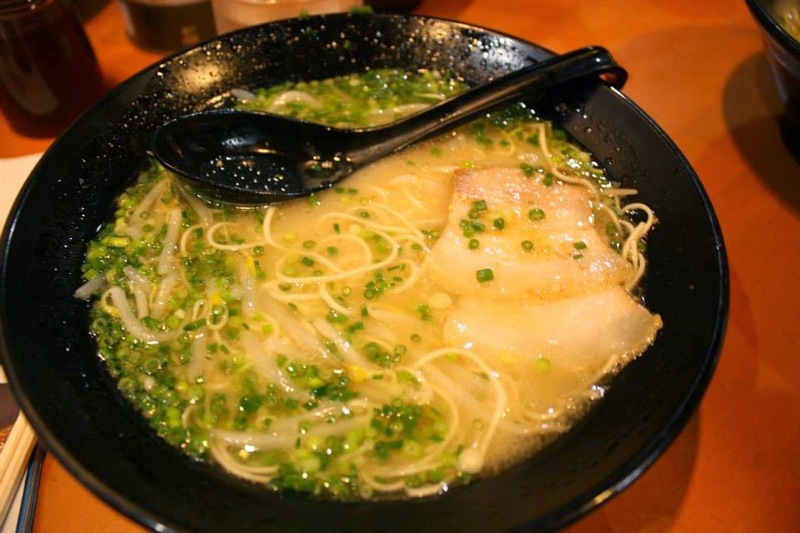 (expensive but good) It had noodles, a lot of pork, a gravy like sauce and a soft boiled egg among other things in it…I’m still dreaming about it!During the evening we took a stroll around Gion. 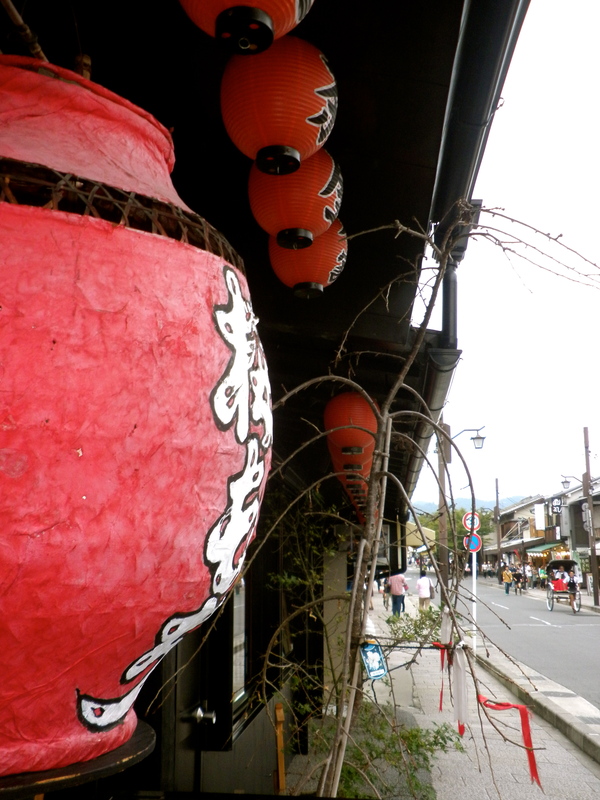 This is known as the Geisha district of Kyoto. Geishas still roam the streets here and if you are lucky you can spot them. Unfortunately we didn’t spot any but it was a great area to just stroll around anyway. 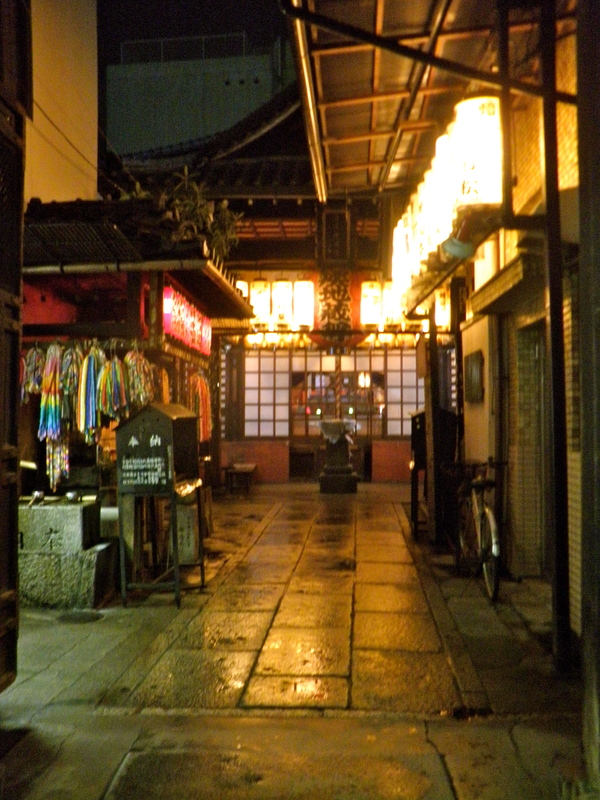 All of the buildings were traditional and we were the only 2 people wandering down these little alleyways. 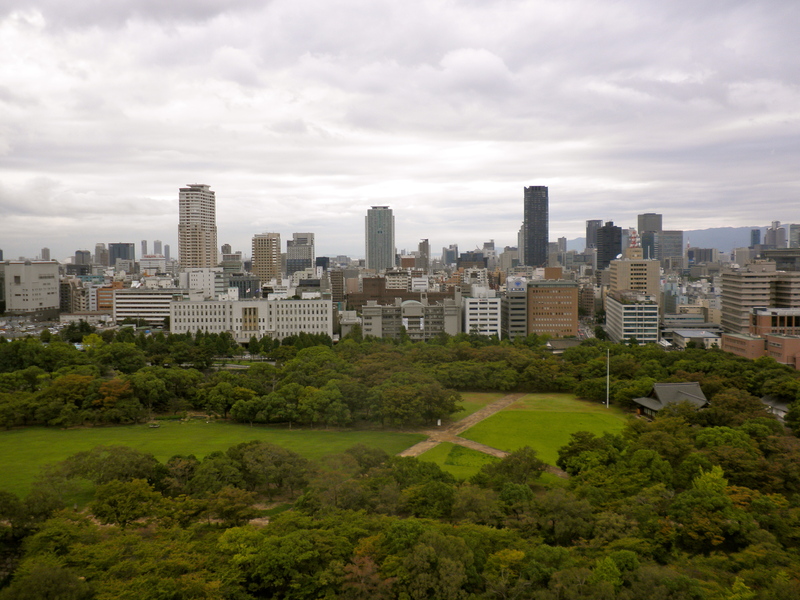 The next day was time to leave Kyoto and discover Osaka. 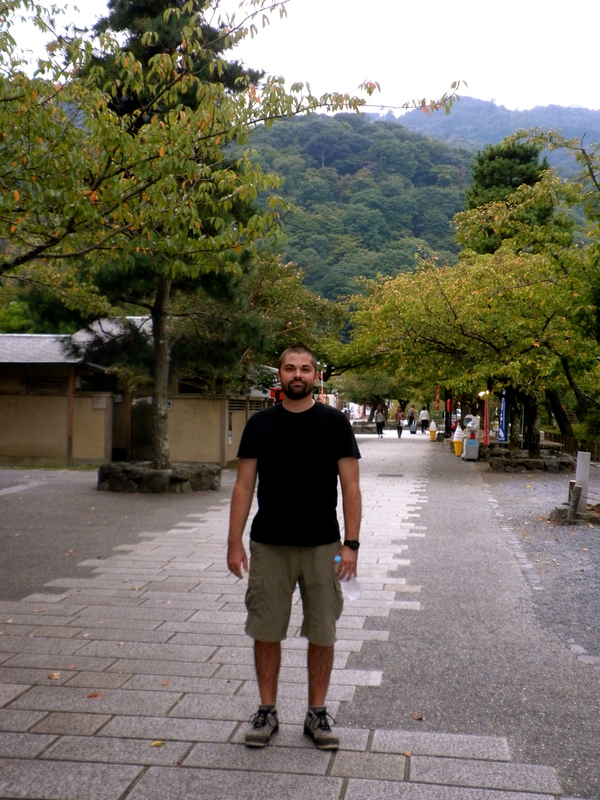 I was a bit apprehensive leaving Kyoto because it was such a wonderful place and we knew that Osaka was a big city. 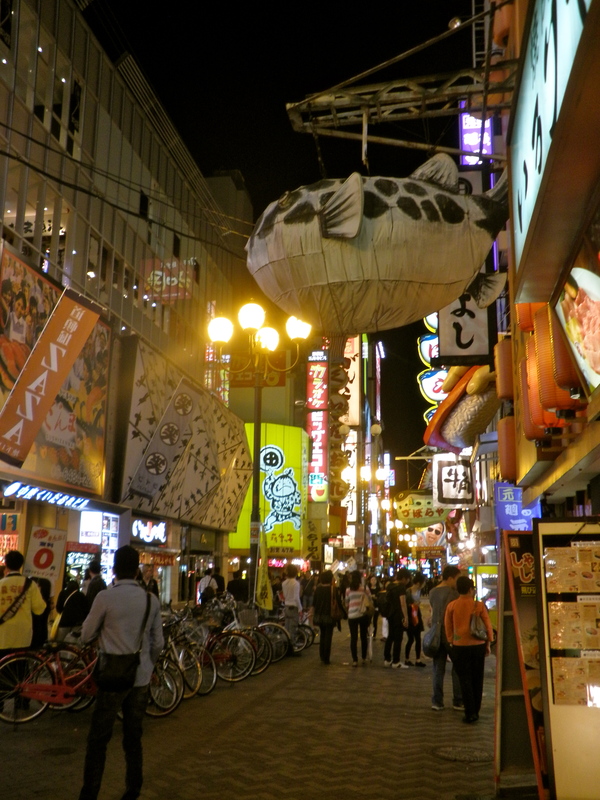 Luckily we were staying right in the centre of Osaka, right down the street from Dotonbori. 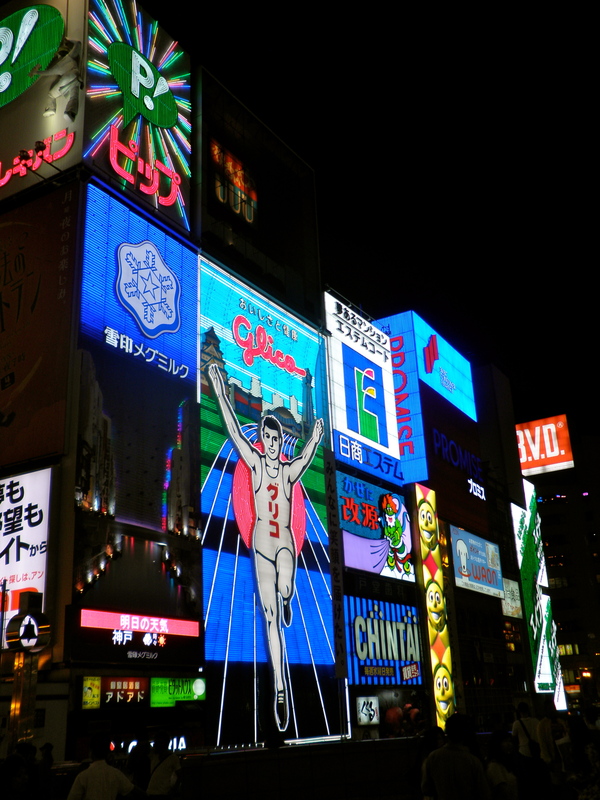 Dotonbori is a famous area that is full of restaurants and over the top advertising…if you want to see the bright lights of Osaka you come here! Once again we proved lucky with our guesthouse. It was quite cheap and only a 1 minute walk from the subway station. We were met by a really nice Nepali guy who works/runs the hostel. 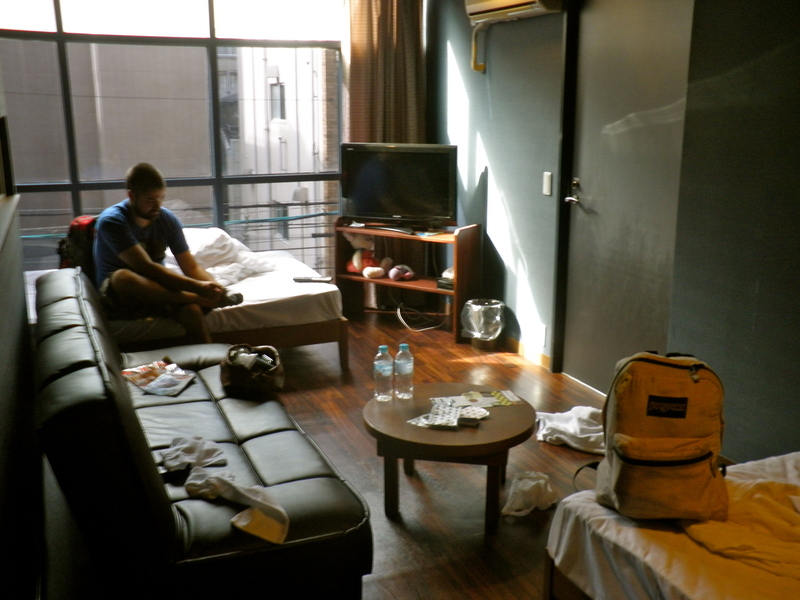 While we were waiting fro our room to be ready we chatted to him about our plans to go to Nepal and what it’s like to live in Japan. 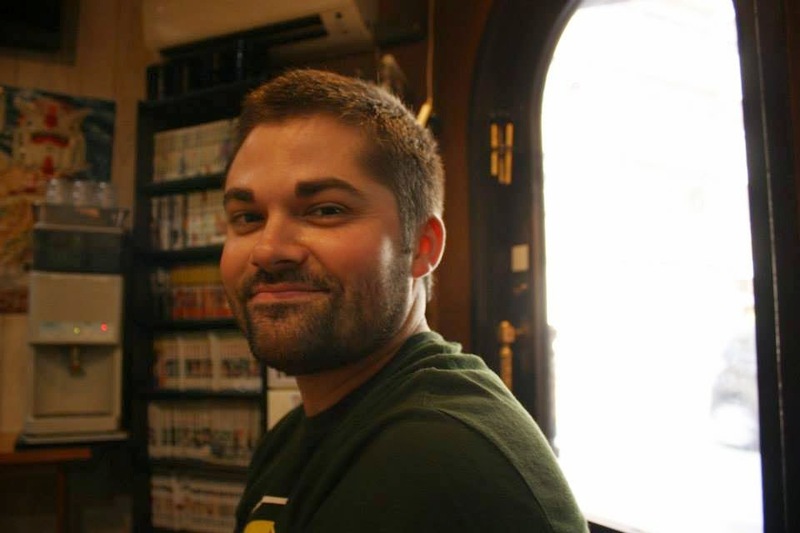 His wife got pregnant so he had to move to Japan to make money and send home to his family. His daughter is 2 years old now and he has never seen her. It really makes you realise how lucky we are just because of where we were born! 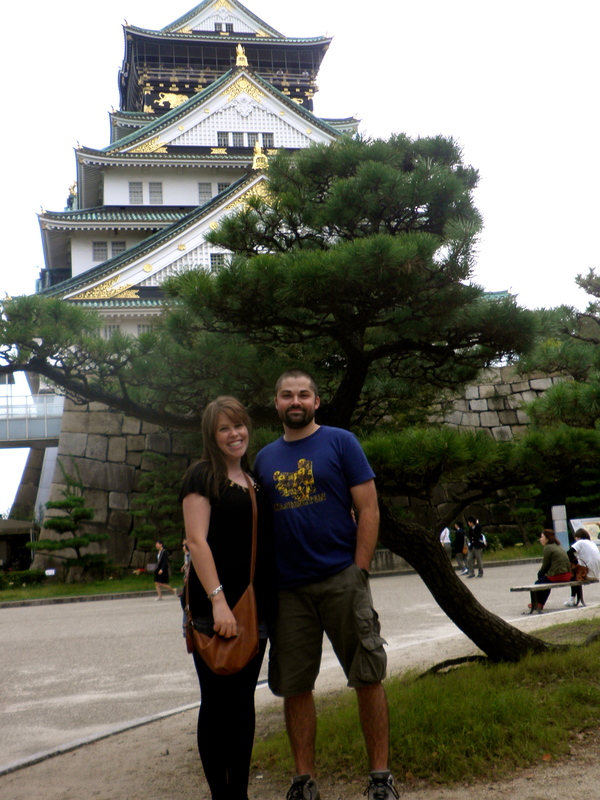 After we were settled in we went in seach of Osaka castle. 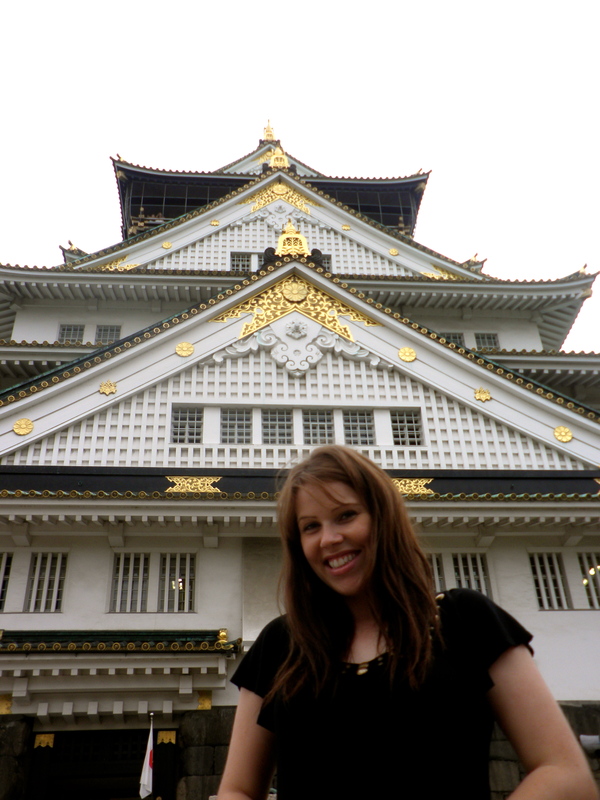 This is a beautiful castle that is right in the middle of Osaka. It has a wonderful park all around it. We made the mistake of paying to go inside the castle…instead of finding an old castle we found that they had completely refurbished the inside to make it into a modern museum, the only good thing was the view from the top. The guest house also had a Nepali restaurant and even though we were in Japan the smell from the restaurant was too good to resist and we were both intrigued as to what Nepali food was like so we ate there, and were not disappointed! I think it made us both even more excited to go to Nepal next year. 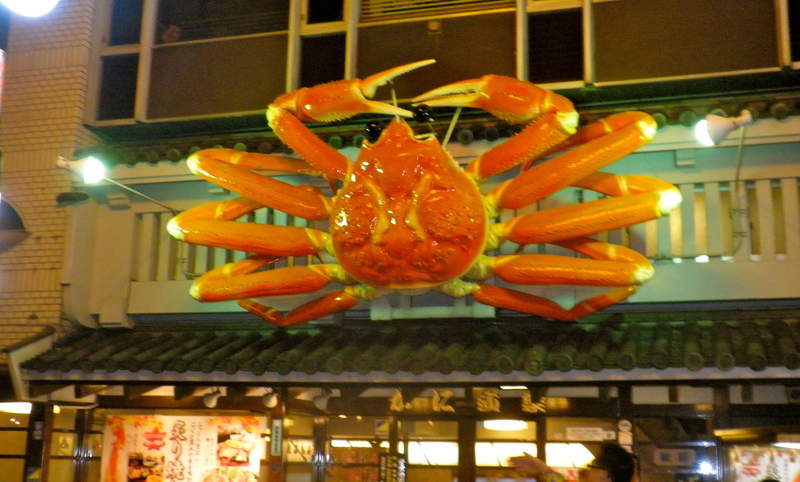 That evening was spent walking around Dotonbori and taking in the sights. The next day we set off for the pier area of Osaka. 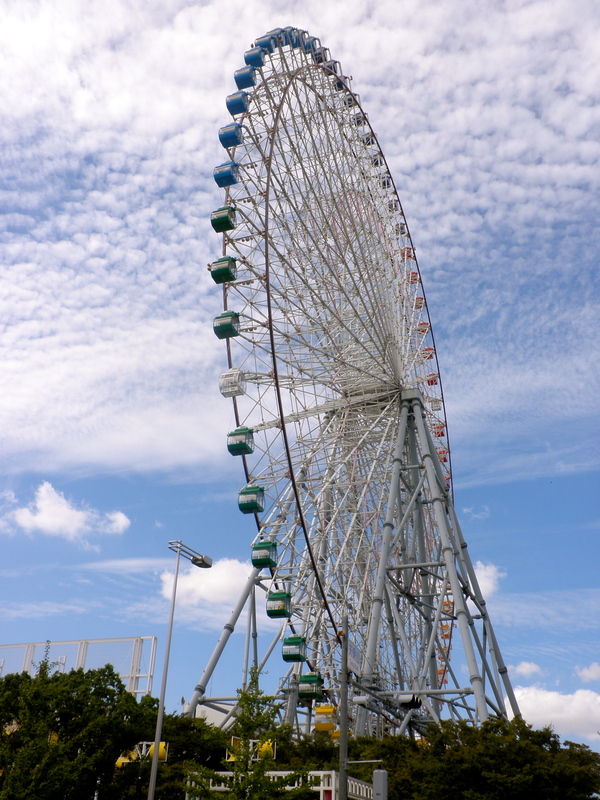 This is a very touristy area that has a massive aquarium and The worlds biggest ferris wheel (during the years’97-99). 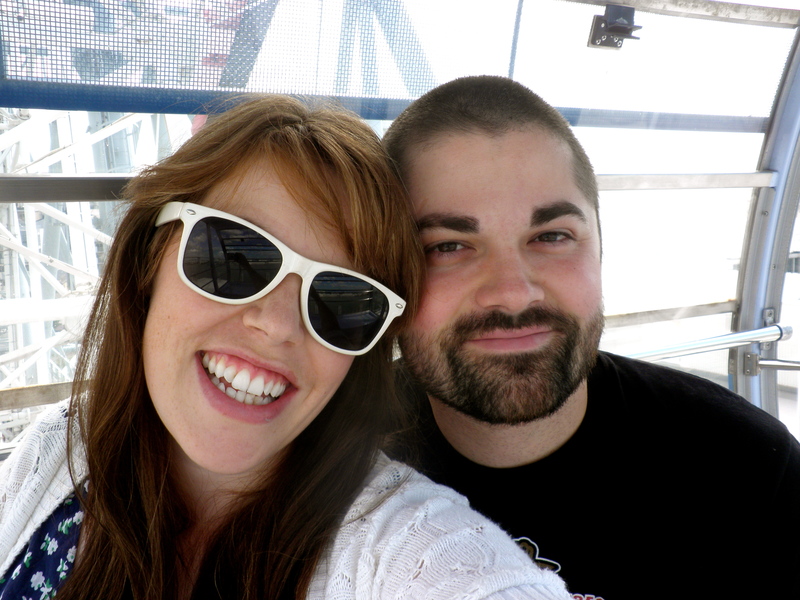 The ferris wheel was cool, we got to see just how big Osaka is and the sky was very clear for us. 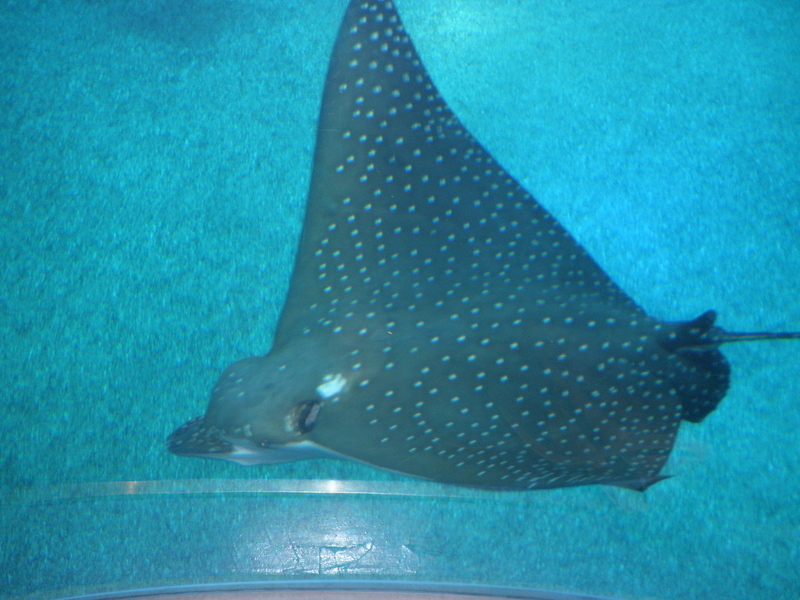 The aquarium was also great, it had dolphins, seals, penguins and a whale shark! 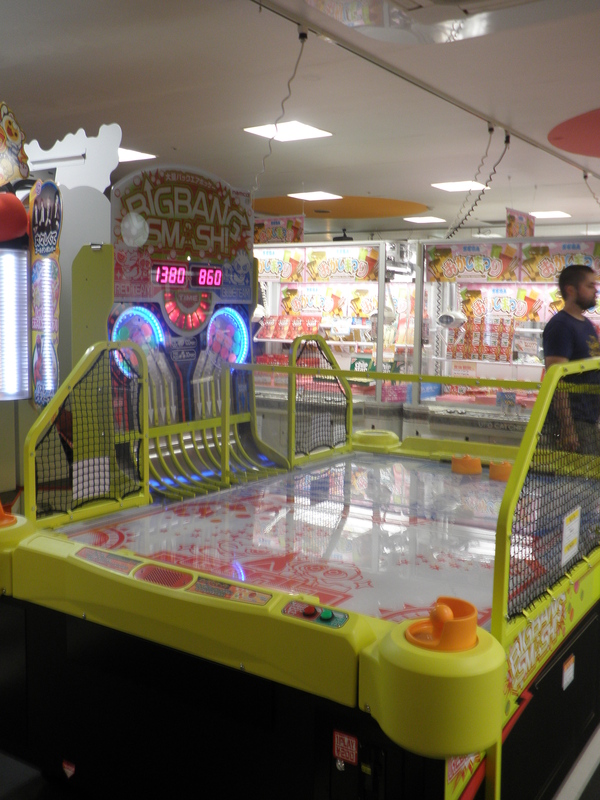 Of course no visit to Japan would be complete without a visit to a games arcarde. These places are just downright crazy! Lights colours and noise everywhere! So much fun! 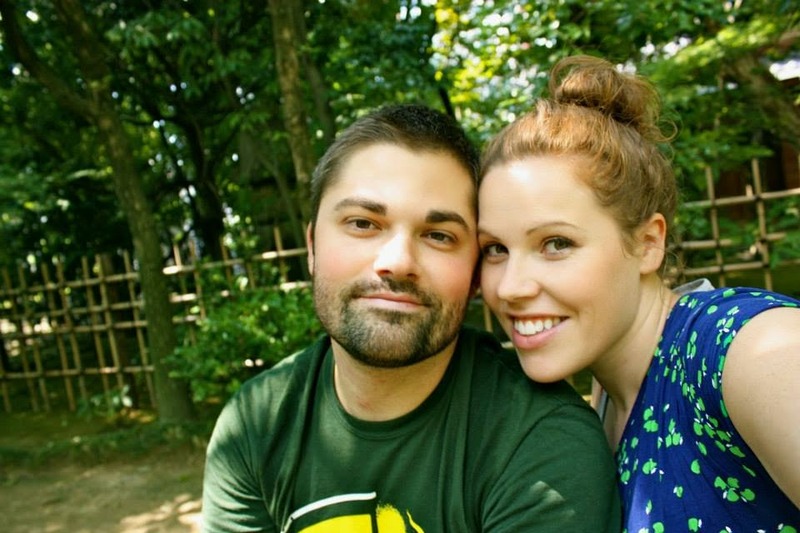 Overall we had a great time in Japan. 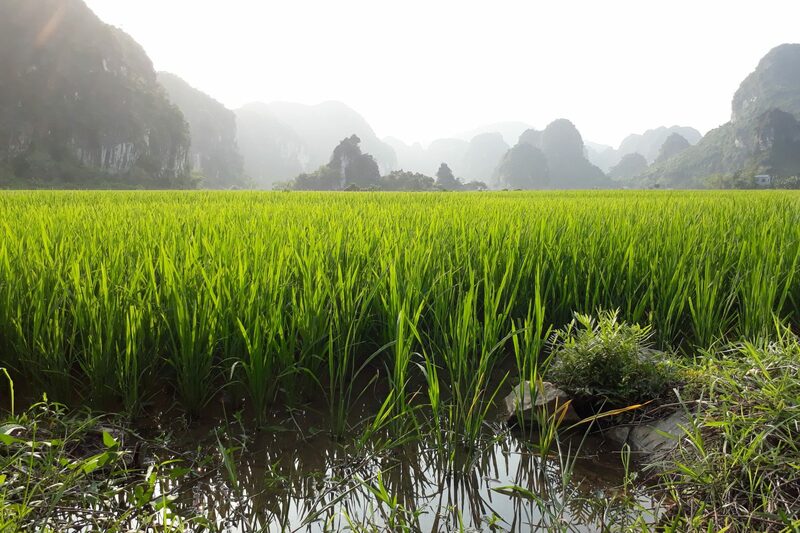 It really is a country with no comparisons. 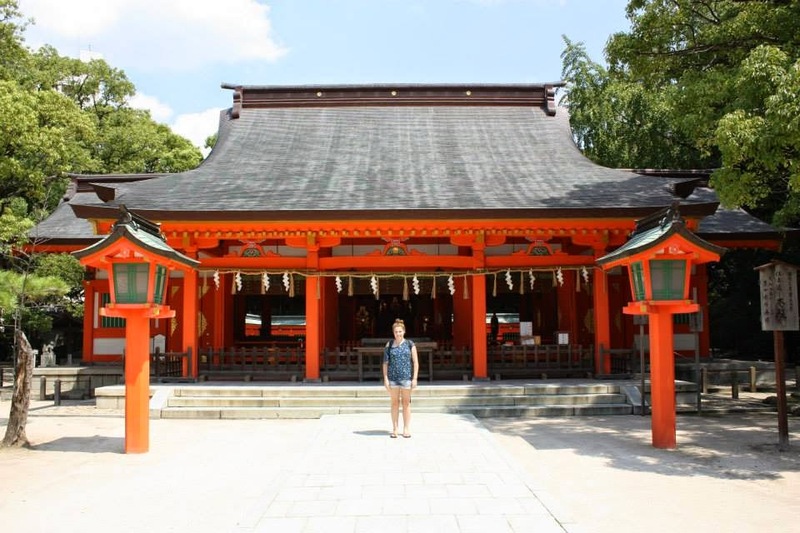 I was surprised that we both experienced a little bit of culture shock in a country that was only an hours flight from where we live. But it really is so different from it’s neighbours. 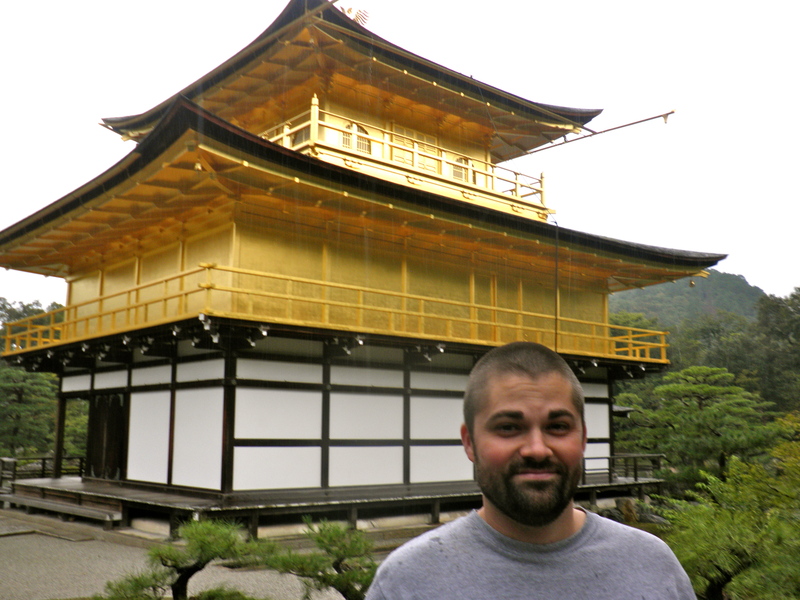 I would definately reccommend for all of you to visit Japan at least once in your lifetime!